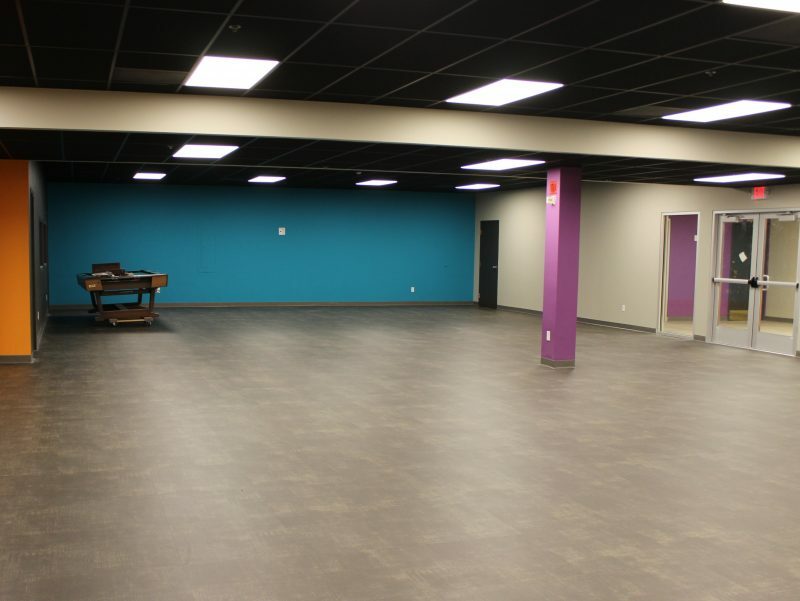 Because of the love and generosity of our congregation, our YOUTH CENTER is nearly complete! As you can tell from the photo, the downstairs youth area has been totally renovated. A wall has been taken out, enabling a large multi-purpose room where youth can worship, study, have small group meetings, play and relax. New lighting, flooring, and paint have changed the look and feel. Plus, there’s an inviting reception area, and new glass doors that make everything feel welcoming. Thanks to your care for our youth, you’ve financed this first phase. As we finish that up, future phases will include renovation of side rooms for breakout groups. Please stop by downstairs and take a look! It’s time to add furniture and AV equipment! Most immediately, we’re inviting you to participate in providing new chairs for the space. We’re looking to purchase 150. If you’d like to provide a chair or two (or ten! ), they’re $50 each. Get more information online. You can also purchase them at the Night At The Bistro youth fundraiser this Friday and Saturday. When you see our very active youth, know that they are having experiences here at Manchester UMC that will last a life time—thanks to you and the Holy Spirit! Last week, I sent a letter to members and friends of Manchester UMC. It is regarding my future plans. If you did not receive it, I would appreciate it if you would take a moment to read it online. Thank you. As I’ve mentioned before, the General Conference of the United Methodist Church will meet on February 23-26; its purpose is to decide United Methodism’s stance on human sexuality. It’s important that we offer a time to present information, answer your questions, and pray. So, I’ll host this event on the 28th, and hope you can join me. Childcare will be available upon request. All are welcomed. (Livestreaming will also be available). On Sunday, we’ll look at ways you can influence people without even knowing it. Discovering these ways equips us to be a force for good in a world that desperately needs it. The text I’ll use is Matthew 25:1-13.